Like digging in the dirt? Want to try growing your own vegetables? You don’t have to leave the city to do this. As a part of our stewardship of our property, Southminster established a community garden on the east end of our lot to be shared with our neighbors. Several churches in our Milwaukee Presbytery have such a program, as well as one in our local community. The economic, environmental, and food quality benefits of having one’s own garden are starting to be recognized across the country. Several neighbors as well as many members of our congregation were already gardening at home. But others lacked gardening space, especially any apartment dwellers in our neighborhood and our members living in condominiums. We established twenty-nine 10′ x 20′ garden plots in a 50′ x 150′ space between our woods and Richard Street. About 50% of these gardens were planted by non-member neighbors. Those wishing to do gardening on the land submitted an application to the church and signed a liability waiver. The plots were assigned on a first come, first served basis. Church member Dave Williams and his nephew tilled the soil, and volunteers fenced in the area to discourage wildlife damage. The church provided rain gathering barrels for water. During drought times, gardeners also brought in their own water. We are excited to announce that Southminster is expanding its work with the Salvation Army to support children in our neighborhood! 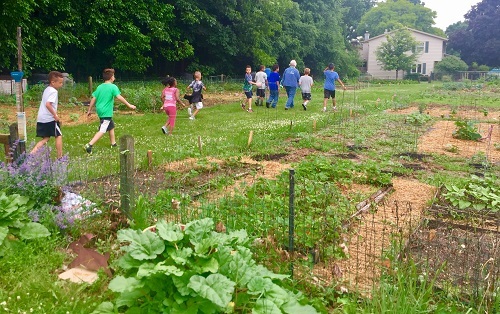 Starting June 19th, The Army will bring approximately thirty children over to our vegetable garden on Tuesday and Thursday afternoons. 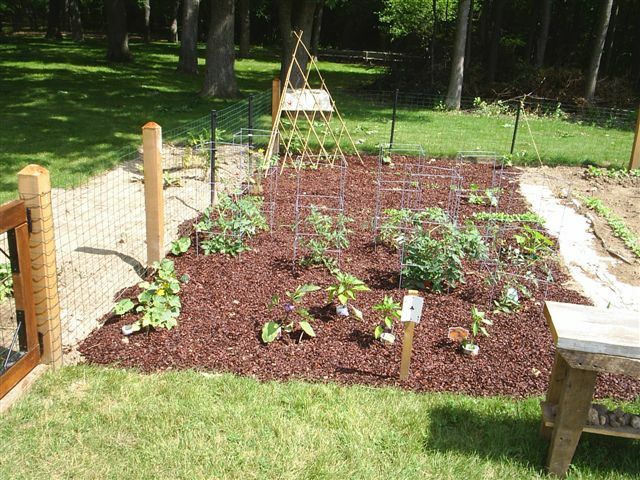 The children will be taught all about gardening by our very own Master Gardener, Alice Lundstrom. They’ll learn the importance of organic gardening, how to garden and enjoy the beautiful outdoors! 1) As a volunteer on Tuesday and Thursday afternoons, through August, from 1:30 to 2:30 PM to assist Alice with the lessons/gardening. 2) Donations are needed for new/used garden hand tools, which can be placed in the labeled storage container in the front coat room. 3) Donations are needed for snacks (or monetary donations to purchase snacks), which can be left on the back counter in the kitchen. Thank you in advance for your support of our neighborhood children for this great community project. Most of these children have never gardened before and attend Whittier School. It will be exciting to watch them experience the joy of growing their own vegetables for the first time!